Getting to know one another requires conversations to go deeper than, "Nice weather, huh?" 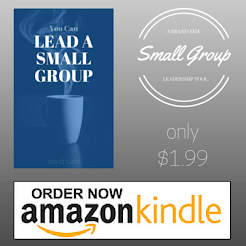 We all want the people in our small groups to develop life-sharing relationships. We all want them to have the kinds of relationships that will permit them to open up and talk about the deep hurts and struggles in their lives. We want them to have the type of relationship that enables them to celebrate one another's victories. So how do we build those kind of relationships? By listening to people as they talk to one another. What unique skills do you have that you enjoy using? Using only 1-2 sentences, explain your belief about God. What is something you value more than most other things in life? If you had a mission statement for the coming week, what would it be? What television show or book interests you so much you can never stop watching/put it down? If you could accomplish one dream in the coming year, what would it be? What is something no one here knows about your life story? What song best expresses the way you feel right now?